Jady brings a rich tapestry of wisdom and holding to the Sensual Mastery courses. Jady is a doula, childbirth and menstrual health educator, bodyworker, breath-worker, group facilitator and mother. Jady has worked within a wide range of holistic therapies over the past 15 years and nurturing others has always defined her path. 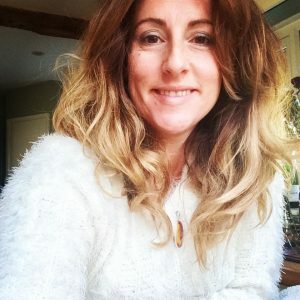 Alongside her training as a doula, Jady is also an experienced bodyworker specialising in shiatsu and massage for pregnancy, birth and the postnatal period for both mother and baby. For the past 5 years she has been undergoing training with Andy, and the late Ella, Portman of The Living Tao, exploring conscious connected breathing, self reflective processes and meditation practises. She incorporates these practises into her work by responding to the unique journey of her client, relieving physical symptoms whilst also releasing, resolving and integrating emotional trauma held in the body. Another prominent branch of her work explores the inherent wisdom of a woman’s menstrual cycle and engages with the natural and essential changes in her life from menarche to menopause. Reclaiming this knowledge can utterly transform a woman’s experience of herself, her relationships and her place in the World. She has trained closely with Alexandra Pope of The Red School, a pioneer in this field and mentors on her online menstrual health education programmes. 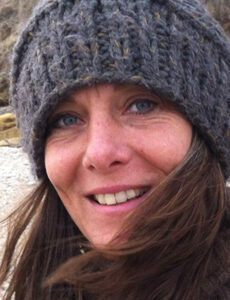 Jolie assists for me on the practical side to running workshops, courses and retreats. Some women need to receive the reflection from a man and to have the opportunity to work with the polarity that is created with man in a safe and held way. My partner Pete offers this in his own work and also with 1 to 1 session where appropriate. Peter is an inspirational teacher and therapist. He has trained in many areas of the healing arts since 1992 including various styles of massage & bodywork, de-armouring, Breath-work, Aromatherapy, Reiki, yoga, meditation, Tantra, The Form and chi kung. 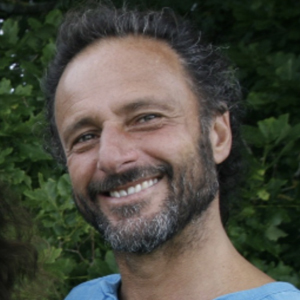 He integrates techniques from the most subtle energy based modalities to the deep tissue work of trigger pointing and rolfing to create what he calls Synergy Bodywork. His sessions also work as individual trainings, teaching one how to tune in to ‘presence’ and listen throughout one’s body, beyond the mind to the silent knowingness beyond suffering. These ‘skills’ are invaluable, enabling one to deal with whatever life brings with clarity and compassion and bringing one into greater harmony with life. He has also undertaken professional training as a teacher – bringing out more of his natural ability to see and encourage the best in people. He practices and teaches internationally and is immersed in his own personal and spiritual unfoldment. Pete is also my partner. Elise is an accomplished music, mind and movement specialist and the founder of To Be Inspired: Holistic Wellness. Through the mediums of yoga, Pilates, dance, music and coaching Elise finds joy and passion in assisting and supporting others in deepening their connection with themselves, igniting their unique creativity, and freeing the flow of individual self-expression. Based upon deep personal practice, rigorous training and extensive professional experience from the worlds of music and song writing, coaching and mentoring, theatre, dance, Pilates and yoga, Elise brings the intention of devotion into all aspects of her work, including bringing movement and voice work to Kalindi’s retreats. 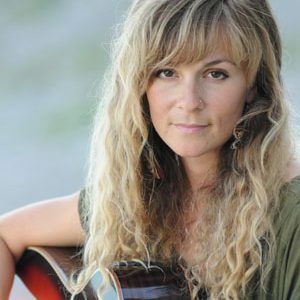 As an artist she loves connecting with a fusion of global sacred music influences, which also inspire her own musical creativity in the form of mantra and sacred songs. Her repertoire of story-telling conscious folk songs and original mantra style heart songs are enriched with her fascination of mysticism, philosophy, environmentalism and elevation of the spirit. Her powerfully emotive voice guides listeners on a thought-provoking voyage, laden with tender, heartfelt tales of dreams, people, love, and life. 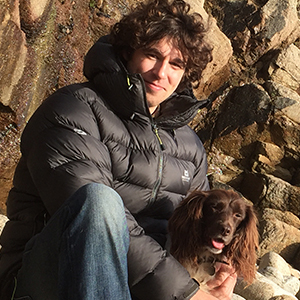 Philip is a lover of life, a semi professional surfer, a singer and an inspirational teacher and healer. Over the past 25 years he has travelled, trained and lived as a pranic living facilitator, an ambassador for peace, a luscious lifestyle coach and a yoga teacher. He travels internationally sharing his gifts and surfing the best breaks that the world has to offer. 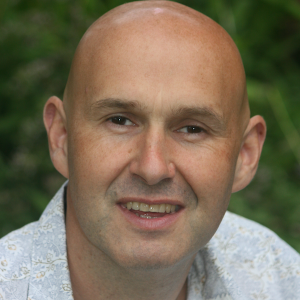 Through inspiring joy, open heartedness, compassion, love and humour Philip supports others to connect and flow with the celebration of the dance of life. Deep listening and feeling alive. Inspiring people to stay present, how to receive the Now! as this is our connection and alignment to our living truth. Philip wants to celebrate and party in the deep yummy union of our light as one infinite bliss heart. David supports me in guiding and implementing the direction and development of my business. He is a conscientious and dedicated performance coach and strategist, with a great balance of mind and intuition. Described as “an architect for the mind”, David uses psychology to support his clients to reach new heights and forge a new and inspiring pathway towards high-performance. David provides effective personal and professional support to both individuals and teams at any stage of their development in the areas of Business, Sport & Lifestyle, Education and the Arts. No matter your goal, if you’re interested in improving performance, increasing productivity and refining your life experience, then David’s infectious enthusiasm and skill for developing people and finding solutions to the difficulties his clients wish to overcome could be just what you’ve been looking for. Ebanie has created the graphic design for Kalindi’s brand and website. She enjoys working closely and intuitively with clients to capture the essence of their work in visual form. Having been on the Sensual Mastery journey with Kalindi, she has loved bringing this work into her creative process and allowing her artwork to communicate this experience.